In 2002, the boat industry in Cape Town, South Africa was booming. There was always a sailboat, catamaran, yacht, kayaks, or jet boats cutting through the sky blue waters or Cape Town’s harbor. There were also chartered tours, sailing trips leaving to make an Atlantic crossing to Europe or the U.S. as boats were being delivered to their new owners or going for a fun run by its current owner. South Africa and its boat-building industry were flourishing with an average growth of 20% to 25% a year. During that time because of the low cost in labor and low exchange rate of the country’s currency, the boat-building industry was earning more than R600 million with an output of 150 to 180 boats a year. Orders for luxury yachts and catamarans were being placed from around the world but the momentum was suddenly struck down with the global recession in 2008. Fortunately, South Africa has been able to retain its global reputation as one of the leading boat-builders in the world. They are known for quality boats at cheaper prices instead cheap boats with inferior quality. They continue to receive orders that allow many of the companies to stay in business. One of the largest and most respected South African boat-building companies is Leopard Catamarans or Robertson & Caine, Ltd. Founded in 1991 by John Robertson and Jerry Caine, and a combined 30 years in boat-building experience, Robertson & Caine started by building custom-made yachts and racing boats. They now export around the world sailing catamarans that are as long as 48 to 58 feet long. 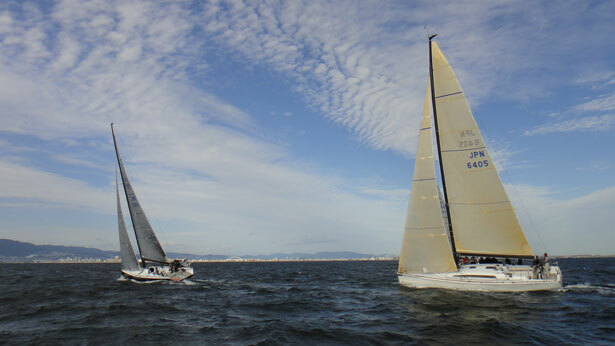 Their brand, Leopard Catamarans, is enjoying the reputation for being the number one selling brand in North America. Last year, 5 men from the boating industry in South Africa were awarded Lifetime Achievement recognition for their contribution to the boat-building industry. These 5 South Africans were Leon Prinsloo (Raven Boats), Don Jarred (Angler Boats), Derrick Levy (Marine and Boating), Peter Lindenberg (waterski and powerboat champion), and Ronnie Arenson (Water World). These guys all deserve a well earned vacation at a luxurious beach lodge. Also in 2012, the sales of boats made in South Africa began to see a glimmer of the its early 2000 days where 25% of the world’s catamarans and 10% of the hundred-footer sailboats come from South Africa. Admiral Yachts – Located in Cape Town, this company has 5 models including a charter division and a branch in Fort Lauderdale in the United States. Argo Boats – Founded in 2004 and also located in a 25,000 square foot warehouse in Cape Town, Argo Boats is owned by Ben Lochner. They have catamarans of up to 90 feet in length made from fiberglass and special Pre-Preg material. They are represented in the United States by their partner, M2 Motor Yachts in Rhode Island. Gunboat (Pty) Ltd. – This company has 2 gunboat models: the 48 and the 66. They are known to be light, equipped with high tech engineering, and can be driven easily by one person. Matrix Yachts – Also found in Cape Town, family-owned Matrix Yachts is known for its luxurious, first class yachts and catamarans. Yacht Charter Cape © 2019. All Rights Reserved.